shop JOE: NY Fashion Week, Part 2: MORE Street Style Masters! NY Fashion Week, Part 2: MORE Street Style Masters! As New York Fashion Week came to a close on Thursday, fashion's elite made their final street style statements outside the Spring 2014 Ready-to-Wear shows. Here at JOE, we've compiled some of our favorite looks - and how to make them your own. The always-chic Giuliana Rancic never fails to impress, but the Fashion Police co-host went above and beyond this Fashion Week with her sleek and edgy LBD. The leather detail on the neckline of her knockout look instantly reminded us of our BB Dakota Mai Dress - a new arrival and closet must-have! 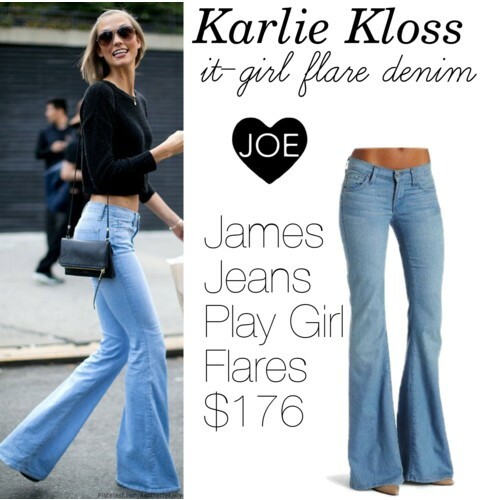 Steal supermodel Karlie Kloss' boho it-girl look with James Jeans Play Girl in Light Sky denim. Don't worry, you don't need to have Karlie's mile-long legs (because really, who does?) to pull off this trend! Lacey dresses were running rampant on the streets this fashion week, and in all hues of blue! Get the look at JOE with our Keepsake the Label Hearts Collide Dress for your next event, may it be day OR evening. Bloggers were loving floral jackets this season, and demonstrated ways to wear girly graphic prints and manage to look all grown up! 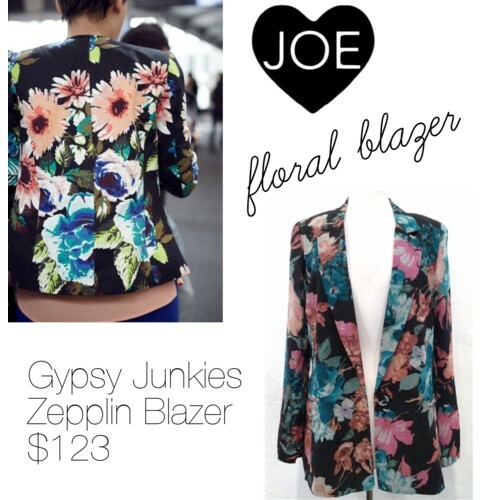 We love giving plain outfits a touch of color with our Gypsy Junkies Zepplin Blazer . Yet another supermodel in a look you can get at JOE! Chanel Iman looks too cool for school with a plaid shirt effortlessly tied around her waist. You can pull this off with our Rails Kendra Plaid Shirt or throw it on over a t-shirt for another layer! New York Fashion Week's street style was just the beginning - stay tuned as JOE posts London's finest street trends next week!